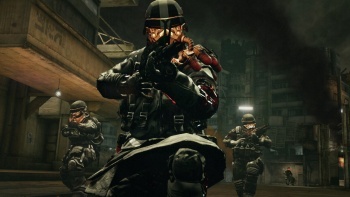 Sony has issued a statement saying that the idea that Killzone 2 would be getting a 3D update was an 'erroneous inference'. Over the weekend, it was reported that Killzone 2, along with ,a href="http://www.amazon.com/WipEout-Online-Game-Code-Playstation-3/dp/B002N2YLDA/ref=sr_1_1?ie=UTF8&s=videogames&qid=1278692587&sr=1-1">Wipeout HD[/a], Super Stardust HD , LittleBigPlanet and Gran Turismo 5 would be getting a 3D mode this summer. It appears, however, that that is not the case, and Sony has apologized for the misunderstanding. "That last feature [in Qore] included interviews, footage from CES 2010, and a brief montage of SCEA titles intended as examples of what 3D gaming might encompass. It is hard to do justice to just how amazing 3D gaming looks in a 2D presentation-even in an HD product such as Qore." "Unfortunately, our feature did not make it clear that the 2D game footage was included for demonstration purposes only. We apologize for the erroneous inference that 3D versions of LBP, Wipeout HD, Killzone 2, Gran Turismo 5 or Super Stardust HD are in production."